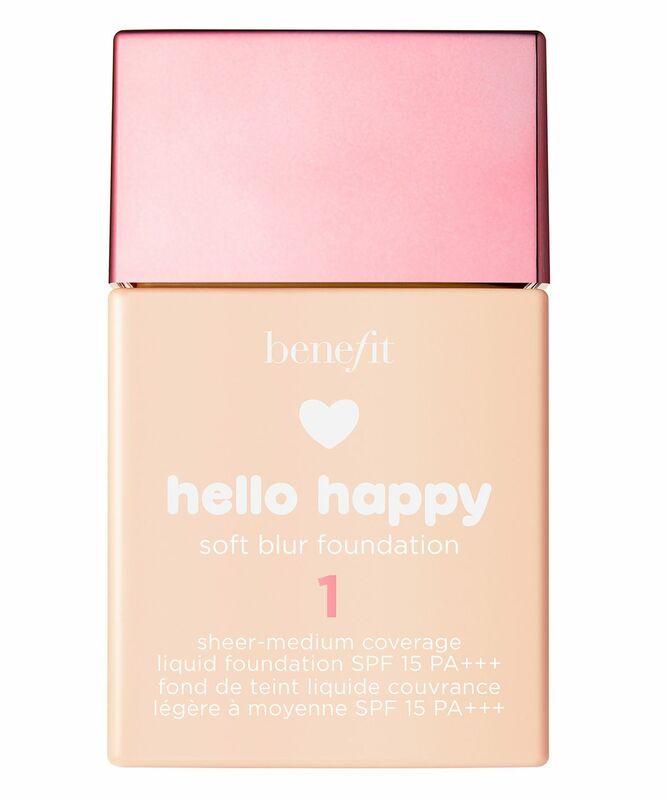 Money may not be able to buy you happiness but the right foundation just might… With its natural-looking, soft matte finish and happy little *heart eyes* bottle, this is guaranteed to bring a smile to your face every day. The formula evens out skin tone and blurs imperfections with optical blurring spheres, yet feels so weightless you’ll think you’re wearing nothing at all (on your face, that is). The 12 shades feature neutral undertones to give ‘flexibility and stretch’, making them versatile enough to suit a range of skin tones. 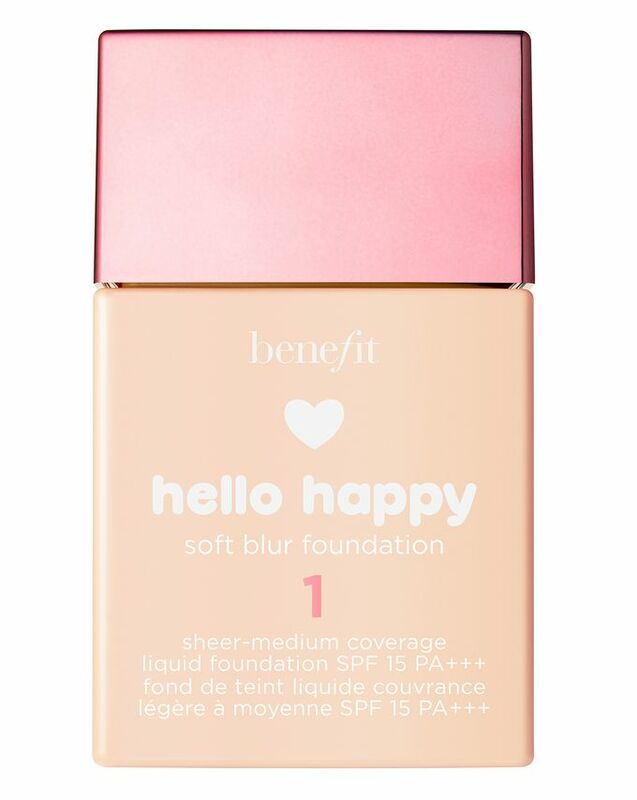 Benefit’s Hello Happy Soft Blur Foundation is your daily mood boost bottled. The lightweight, breathable formula is exactly what we’ve been looking for of late – it gives a natural-looking matte finish and offers light-to-medium coverage that helps you to look fresh and polished without masking your natural complexion. The liquid contains soft-focus optical blurring spheres blur away imperfections and even out skin tone, available in 12 versatile shades. There are three light, five medium and four deep shades but each have neutral undertones to offer the ‘flexibility and stretch’ necessary to suit a wider range of skin tones. Start from the centre of your face and blend outward. Shake this liquid foundation, then use your fingertips to apply one drop at a time. Repeat to build coverage. Blend in for an even finish. Was expecting more from this foundation but it's not better than your average drugstore version - probably best if you already have perfect and clear skin. Coverage can be built up through which is ideal. Got shade 2 which is good if you're pale but want a bit of colour. I love love love this foundation, a good medium coverage that can be built up to whichever coverage desired and it leaves my face looking even and it hides my dark circles and other blemishes really well. Don't be put off by the packaging since I wear number 9 and I thought it was going to be super dark but it's perfect I'd recommend this product to everyone and big up Benefit on the shade range! This foundation did not last. I understand it's supposed to be a sheer foundation but after a couple of hours it separated around my nose and it made my pores noticeable. It just made my skin look really unflattering.